Three London based businesswomen have joined forces to organise an event which showcases Black British Business excellence. The “Sow-Full” event will illuminate Black British excellence in the UK and prove that the black community has substantial economic power. A 2018 Nielsen report* from the United States of America, suggests that while African Americans make up 14% of the population, they are responsible for over $1.2 trillion in purchases annually. Whilst this report uses data from the US, there is something to be said about the growing economic power of Black Brits. 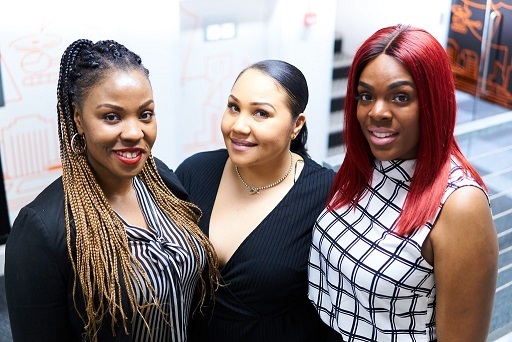 Sow-full has been launched by three friends; Alysia Sealy, Linda Nantege and Zara Hakala-Murdoch, (all in the main picture), who saw a need in the market to create a platform that enables black businesses to promote their products and services to a wider audience. London is home to over 1.2m Black Londoners from the African and Caribbean diaspora. With the continued growth of entrepreneurship in the black community, Sow-full aims to highlight the importance of supporting black businesses as they play a vital role in the community’s sustainability. The Sow-full pop-up event, which takes place on June 3, 2018, will raise awareness of a wide variety products and services that are available within the black community. It will be a day of socialising and shopping in a fun and vibrant atmosphere. Sow-full aims to provide black businesses and entrepreneurs with a platform of inspiration and will provide the new generation of black entrepreneurs with the relevant information and resources to build and maintain successful businesses.